District 21 – January 2011 – Lincoln Nebraska A.A.
12 Traditions read by Jackie S.
January 22nd-23rd at the New World Inn, Columbus NE. Area Reunion entertainment chair would like volunteers. 1. Pocket of Enthusiasm (Steve U. ): Meetings going fine. Steve U. will be in school for next eight weeks, will still go to business meeting, because it is early enough. 2. Sufficient Substitute (Sam R.): Things are going well. 12- 15 people. 3. Women’s Circle of Friends (Jennifer): 20-30 people in attendance, a couple scholarships for Spring Fling. 4. Young People’s (???. ): Good attendance, not great contributions. They did get a bank account. 5. Cafeteria Group (Tom B. ): Able to fill slots with speakers. Things going well. Will be working on distributions. Want to get a hospitality room for Spring Fling. 6. Spiritual Actions (Emily S.): not present. 7. Seeking Solutions (Jon R.): Attendance steady. 17th Anniversary on Feb. 26th. 8. The Steps We Take (Linda S.): Still there. Same core people. 9. 11th Step Group (Jackie S.): Doing OK. About 20 people at each meeting. Last week there were 35 people. 1. District boundaries/Adhoc committee-Motion: To go with the Ad Hoc committee’s recommendation to move forward (write up and Agenda item and get a stamp of approval from other districts). Approved 7 to 0. 2. 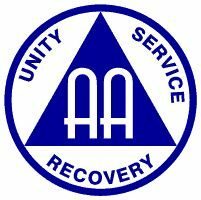 Upcoming workshop: Introduction to AA-February 19th, 2010. 9 am– 12 pm. Speakers Ken B. and Anita G.
Amy: Cups, creamer, napkins, sugar. Jon: 2 big boxes of donuts. Jay: Checks (Ken B. gas reimbursement). Suggestions for literature: Newcomer packets, AA fact sheet, 41 questions, AA cooperation with other Agencies, The AA Group, Sponsorship, Member’s Eye View. Motion: That District 21 purchase literature, first checking with PI committee to see what they have available, for the upcoming workshop. 6 for, 1 against. No minority voice. 4. Area 41 Voting item (2011 Budget). We voted to approve the budget. 1. Spring Fling hospitality room. There was discussion that District 21 groups could join Cafeteria group in the hospitality room they have reserved. More discussion about if several groups in District 21 wanted to participate, then perhaps District 21 could consider paying for the hospitality room, with the understanding that groups would be responsible for manning the room and providing food/drinks. GSRs will ask their groups, to see if they are interested.